PDC Blades Last Months, Not Days – No Spinning Knives! Our 50 years of experience have taught us that if your machine stops cutting, your line is down and you are out of business. That’s why PDC builds blade assemblies like tanks; rugged and heavy-duty to serve you well, shift and shift, year after year. PDC’s shrink sleeve cutting systems are unique in their toughness and durability. Unlike the competition’s tiny, spinning knives that dull quickly, often in days, PDC’s blade assemblies are ruggedly built to deliver clean cuts for months. PDC’s solid blade assemblies reflect our commitment to constructing tough machines for ultimate productivity and your perfect package. The Mandrel is part of PDC’s patent no.4765121, the Mandrel opens and forms the sleeve, lending itself to high speed, thin film applications. The sleeving material flows over the Mandrel, which can be cylindrical, oval or rectangular in cross section, fully and positively opening the sleeves as they are applied to the product. PDC Mandrels are coated with a special extra-hard, low-friction surface for extended life. The Tetrahedron Wedge is part of PDC’s patent no.3924387, an extremely reliable and consistent system that positively handles sleeving material flows over the wedge and is refolded before entering the cutting blades and proprietary tooling. This technology is extremely robust providing highly efficient operation shift-after-shift, year-after-year. Tooling change parts are fixed and can only be installed one way, eliminating fine adjustments during changeovers. Due to its mechanical nature, performance is consistent, drastically reducing downtime, and maximizing productivity. PDC manages every facet of manufacturing to deliver the combination of responsiveness, quality, and timeliness that companies need to execute the most successful rollouts, produce high volumes on schedule, and maintain competitive advantage. PDC has complete in-house fabrication capabilities. From mechanical and electrical engineering, to welding, sheet metal and advanced CNC machining centers, PDC controls every aspect of fabrication on every machine built. Our “total vertical integration” delivers significant advantages, beginning with the basic elements of the project. 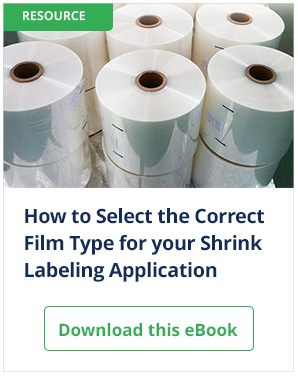 We have longstanding close relationships with every major raw stock and resin supplier, and have a broad, deep understanding of film chemistry and performance and the printing process. We make certain container designs are shrink-friendly and compatible with the line speeds customers require. From engineering to machine shop to fabrication, we maintain full control of every aspect of each machine system. Making the toughest machines on the market begins with solid mechanical principles and designs. Our “Made in the USA” machines are built at our Norwalk, Connecticut plant with all parts manufactured in-house. This total control results in the highest quality workhorses in the industry.